We had grown accustomed to the road by now — endless kilometers, twisting and winding, always heading east, along the outer mountain contours. The bus kept close to the steep mountain wall like a baby clutching on to the end of the mother’s saree. It was easy to see why… on the other side was an instant fall, with the Sutlej, fueled by the melting snow in the upper reaches of Tibet, roaring at the bottom. Moutain face on the left and the Sutlej on the right were our only constant companions — the buses and the people they carried kept changing as we hopped from one place to another in the Kinnaur district. At one point without warning the road took a sharp left turn. And just like that the landscape turned bleak. The hitherto smooth bus ride became bumpy (we had moved from the National Highway to the state highway). The river that now ran along our road was a trickle compared to the mighty Sutlej we had left behind. Pine trees disappeared. Mountain slopes were covered with rubble that threatened to hurtle down our way — it seemed all they were waiting for was a prod by the incessant wind. The dominance of brown in the landscape was supreme; broken once in a way, by green patches, which we later found out, were peas farms. This was Spiti — harsh, desolate, punishing, and hopelessly beautiful. Tourist hotspots in Himachal Pradesh are concentrated in the Western region of the state. We, on the other hand, decided to give these places and the crowds they attract a miss, and head to the eastern districts of Kinnaur and Spiti. Kinnaur meets your expectation of a typical Himalayan experience — mountains whose slopes are covered with temperate trees, whose tops are a gleaming white, by whose feet a river flows naughtily. Nothing, however, prepares you for Spiti, which is a cold desert. It is the closest thing to Ladakh. Our first stop in Spiti was at Nako. 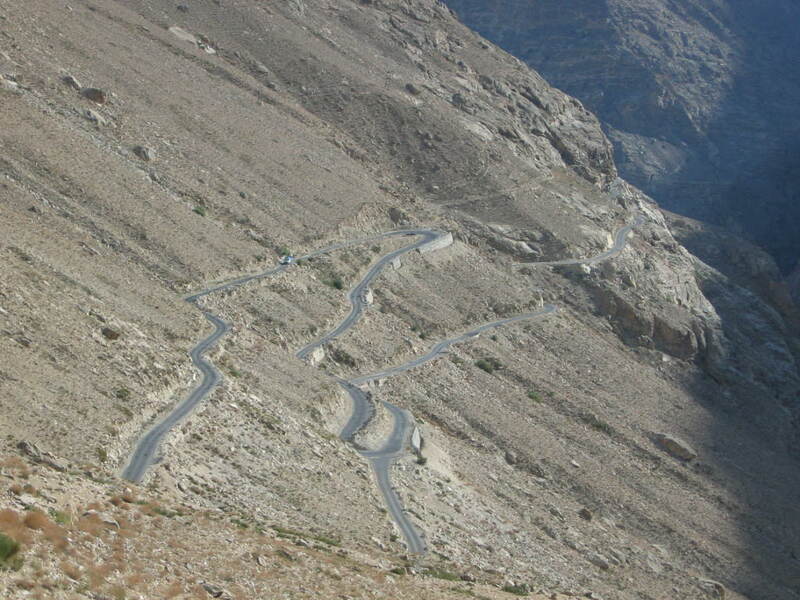 Though technically part of Kinnaur district, Nako is very much Spiti-like in look and feel. The village is postcard material. You have to stoop low to enter the houses, whose walls are built with stones. The roofs are stacked with wood in preparation for the harsh winter. The old Tibetan Buddhist monastery at Nako attracts tourists. The Mandala (holy Tibetan Buddhist paintings) in Nako monastery is believed to be the oldest in the region. There’s also a rather charming small lake, which is also the main source of water for this village. The snowfall however had been low for the past few years. It becomes difficult for the villagers as they depend on the melted snow (not the river) for their water supply. “The river flows so far below… it is of absolutely no use to us”, commented a villager looking ruefully at the river. As we had already discovered on our journey, there not many buses in this region. From Nako we intended to go to Kaza, the HQ of Spiti sub-district. We had to cover close to a 100 km in one day. And of these, 1/2 km had to be traveled on foot! The bus from Nako to Kaza took us to Malling Naala, which is only half n hour away from Nako. Malling Naala is an approximately 1/2 km stretch, which is prone to landslides. The road was very bad, and repairing them, we discovered, was useless as the next landslide would soon damage it again. So, we had to trek this stretch up. Apparently a new road has been constructed, and now perhaps people are spared of this 1/2 km trek. At the other end, another bus was ready to take in the passengers to Kaza. We hauled the luggage back up and the bus started almost immediately. There was a brief spell of greenery as we approached Tabo, which has a famous monastery. Tabo too is a tourist place, but we skipped it as there as a huge rush at that point of time — the Dalai Lama was visiting the monastery. After Tabo, the landscape changed once again. There was no gorge this time around — we had entered the valley of Spiti. The river took a colour same as the land. Though the landscape was essentially the same, it revealed itself now in vast expanses. The bus picked up speed now. After what seemed like an eternity, we were at Kaza. After almost a week in small villages, Kaza turned out to be quite a hip town. It had a proper full-time market, more restaurants, and most importantly it had a newspaper stand (never mind that the newspapers were a day old!). 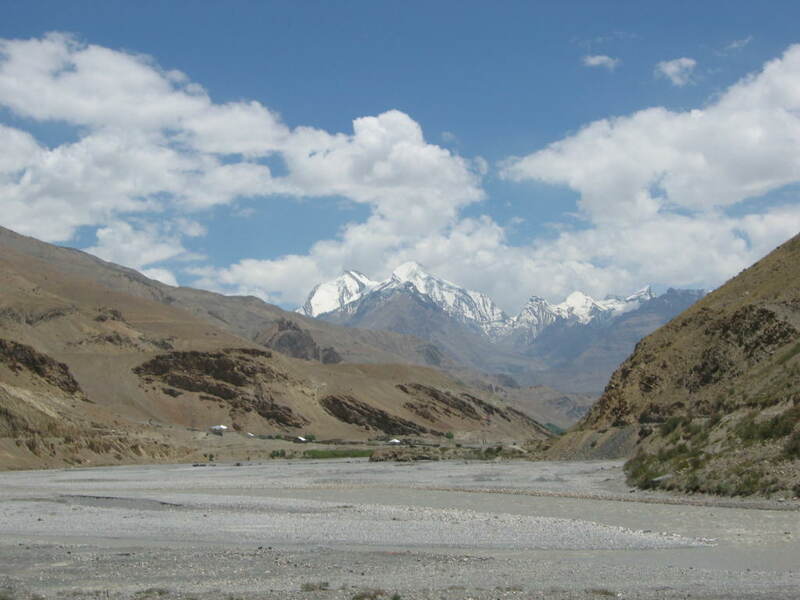 Around Kaza is Kibber village, the highest village with motorable roads in the world, and Ki monastery. One can easily make this half day trip in cars available near the bus-stand. We enjoyed our stay in Kaza, savouring every moment; it was our last stop in Spiti. We caught a 4.00 a.m. bus to Manali (again, there were only 2 buses to Manali). It was still dark as the bus moved out of Kaza. It didn’t take long, again, for the landscape to change. By the time the sun had climbed up, everything was green once again. Spiti was showing us yet another side of her beauty. By the time we reached Kunzum Pass, we could yet again see the “quintessential Himalayan landscape”. There were many other places we visited before returning back to good ole’ Mumbai. But four years on it is that Spiti stands out vividly for us. I guess this is because it had taken us completely off-guard. It broadened our definition of beauty.